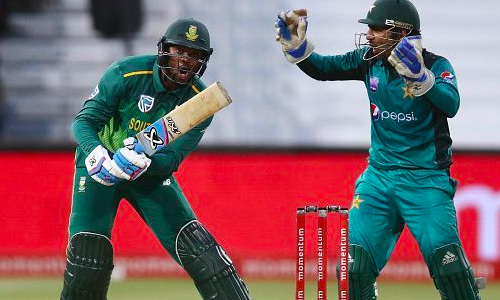 Pakistan captain Sarfraz Ahmed has landed himself in soup after being caught making racist comments on South Africa’s Andile Phehlukwayo during the second ODI match in Durban on Tuesday. But fans were quick to show their anger on social media. “This isn’t funny. It’s pathetic and racist,” one comment read. Chasing Pakistan’s target of 204 runs, South Africa were struggling at 80-5 before Phehlukwayo (69 not out) and Dussen (80 not out) helped the hosts win with eight overs to spare.